Rite Rate Heating and Cooling offers the most convenient and affordable plumbing, air conditioning and heating company in Clark, NJ. We aim for 100% customer satisfaction and have a team of licensed and experienced plumbers and HVAC technicians. Our expert staff will make sure your issues are dealt with 24/7 no matter the time or day! At Rite Rate, we provide quality repairs, replacements, installations, and maintenance for your commercial or residential plumbing, heating, and air conditioning. Our plumbing, air conditioning, and heating company pride itself on being the leader in this field with years of experience and an unmatched level of expertise. Rite Rate is dedicated to quality services that will guarantee 100% customer satisfaction! Every home and business should have a properly functioning heating system and be adequately prepared for a harsh winter. In case you are experiencing a malfunction and the heat isn’t working or there’s no hot water, you need to have a well-trusted heating company in Clark, NJ. Rite Rate contractors are specialized in working with all types of makes and models of heaters including oil, gas, electric, and propane heaters and hot water heaters.Rite Rate specializes in providing installation of heating systems that include furnaces, boilers, radiators, and baseboard heaters. 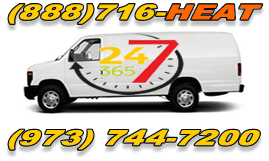 We not only do installations but also provide after 24hr emergency heating repair in Clark, NJ. If anything goes wrong with your residential or commercial heater, our professionals are available to repair it on short notice. We make sure our customers are satisfied and warm all winter long! If you need maintenance it’s not a problem. We can schedule maintenance to ensure your heater is working efficiently. We’ll also replace your old heater with a new one if it’s beyond repair. Rite Rate is a dedicated heating company to assist you 24/7! At Rite Rate, we install, repair and provide maintenance for residential and commercial air conditioners 24-hours a day, 365 days a year. If you think your air conditioner is too old or outdated, our professionals can replace it with the latest model thus making it more efficient. Rite Rate is a dependable air conditioning company in Clark, NJ because we offer 24/7 emergency air conditioning repair. We’re available when you need help repairing your central AC, heat pump, packaged air, and much more! We are a well-rounded company that provides exceptional plumbing services 24/7. With the help of our highly trained plumbers, you will get your problem fixed in no time. From standard issues like leaking to more complex issues like drain and sewer cleaning, we are here to accurately assess your situation and tend to your plumbing needs. Our plumbing services include sump pump repair, pipe replacement, installation of showers, sinks, toilets, faucets, and more! If you are facing any problem like water damage or a leaking pipe, we are here to fix it! Our plumbers can install, replace, and repair any drain, pipe, toilet, bathtub, faucet, sink, and the main sewer line. There’s no bathroom, kitchen, or basement plumbing we can’t handle!Call Rite Rate today if you want a plumbing, heating, and air conditioning company dedicated to servicing your plumbing and HVAC. You won’t be disappointed with our air conditioning, plumbing, or heating repair in Clark, NJ! We’re here for you 24/7!